The Eurocup competition is drawing to an end one more season. 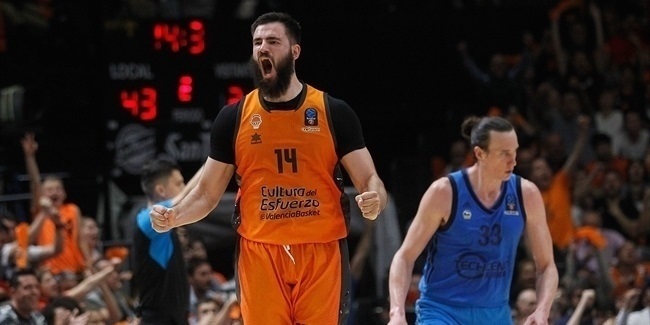 The stage for the finals is set for next May 1 and 7 as Valencia Basket and Unics Kazan will meet up for a two-game series, first one in Spain and second one in Russia, to determine who is the new Eurocup champion and plays the Turkish Airlines Euroleague next season. In the second game of the semifinal series, one player stepped up higher than the rest as Nikos Zisis of Unics amassed an index rating performance of 31 to lead his team in a comeback against Crvena Zvezda Telekom Belgrade that made up from a point-deficit got in Game 1 and become the MVP of the week. Zisis scored 26 points, including 4 of 6 threes, pulled 4 rebounds, dished 5 assists and drew 7 fouls to become the player with the highest index rating among winning players - and overall, at that -. Next in line was Crvena Zvezda's Boban Marjanovic, who despite his index rating of 23 could not avoid the elimination of his team in the competition. Marjanovic scored 12 points, pulled 11 rebounds and drew 5 fouls. Completing the top three performances this week was Unics' Kostas Kaimakoglou with an index rating of 22. Zisis was also the highest scorer this week with his 26 points (5 of 8 twos, 4 of 6 threes, 4 of 4 free throws). His teammate Andrew Goudelock followed with 17 points. Marjanovic was the only player this week over 10 rebounds as he managed to pull 11 (5 defensive and 6 offensive). 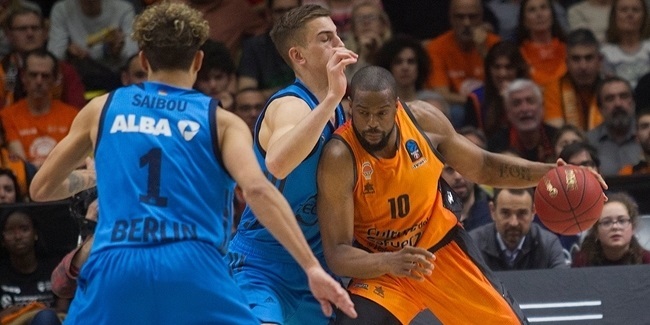 This week Goudelock showed that he can also share the ball aside from scoring, as he was the player with the most assists to his name, 6 in total. 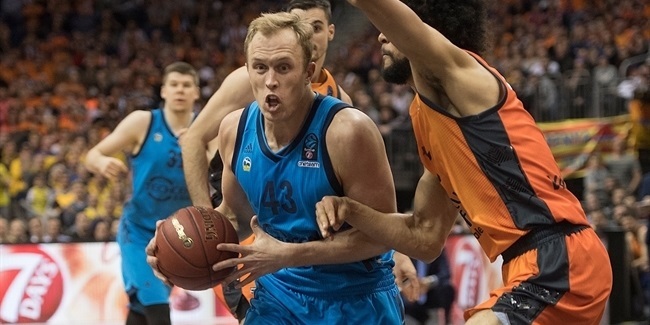 On the defensive end, two players got 3 steals apiece, leading the ranking this week: Evgeny Baburin of Nizhny Novgorod and Romain Sato of Valencia Basket. Pablo Aguilar, also of Valencia, was the best blocker this week with 2 stopped shots.